To Life! It’s spring and it’s busting out all over here in Cerritos. I saw a great performance of “Fiddler on the Roof” last night and while I was walking to the Donut Donut store (the real name of my donut place, but I only go there for coffee and Lotto tickets) the song “To Life” (or “L’Chaim”) was running through my mind. That got me to thinking about spring and what I was seeing and hearing this morning. The sunrise with many shades of pink and gray was gorgeous on this cloudy morning and I delighted in the multihued sky. The birds were waking up and they were singing their greetings to each other and me. 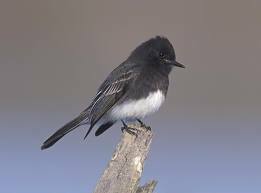 Black phoebes were twitting their little chirp while darting from and to perches while catching little gnats. 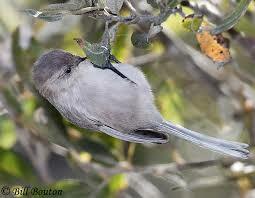 Bushtits were flitting in their erratic flights through trees while twittering their calls to each other. They like to pick bugs off leaves and sometimes hang upside down on twigs. I get a kick out of these tiny birds because they remind me of Woodstock in “Peanuts” and how he flies in the comic strip. 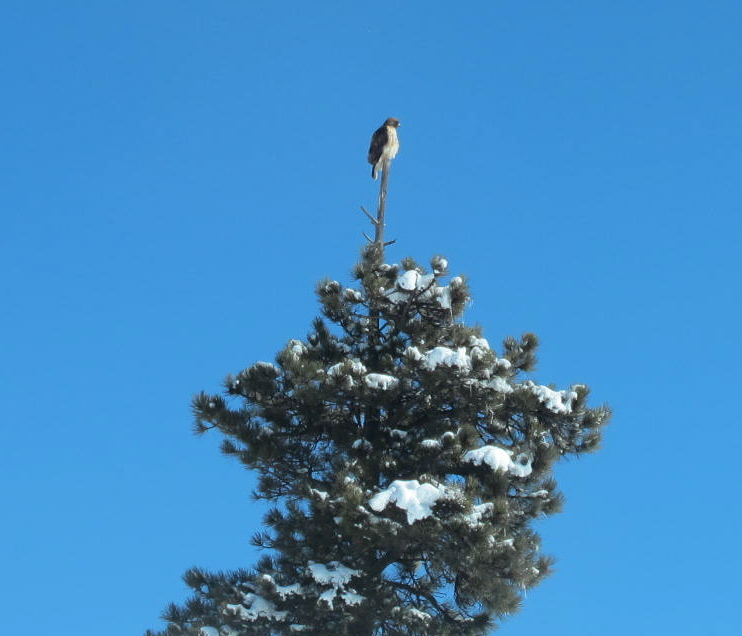 The neighborhood Cooper’s hawk screamed his greeting while he was looking for breakfast. 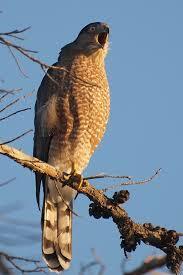 Later on this spring, his youngsters will harass the local crows as they practice do training hunting flights. I’ve witnessed this event in past years with much humor as sometimes the feathers are turned and the crows chase the hawk. It’s almost like a game between the two species. The usual house finches were out in force with their chatter. I love when a flock is in a tree and they’re waking up. It reminds me of a happy classroom with lots of cheery sounds. Of course, crows were making their early morning caws to each other, trying to figure out who has some food to steal. They’re such moochers. Several ducks flew overhead quacking directions to each other. We’ll soon see little ducklings being led by their mothers to water for their first swim. outline of where the puddle was. Pollen is also very apparent as a pale yellow film on the surface of my pool. Some of the other trees are beginning to make little white petals, which will soon drop and create a snowy cast to the street. One neighbor has an ivy-covered wall that has ugly, bare, old, and dead looking vines during our winter. It is beginning to leaf out and will soon be a lush green, belying the ugly wall. 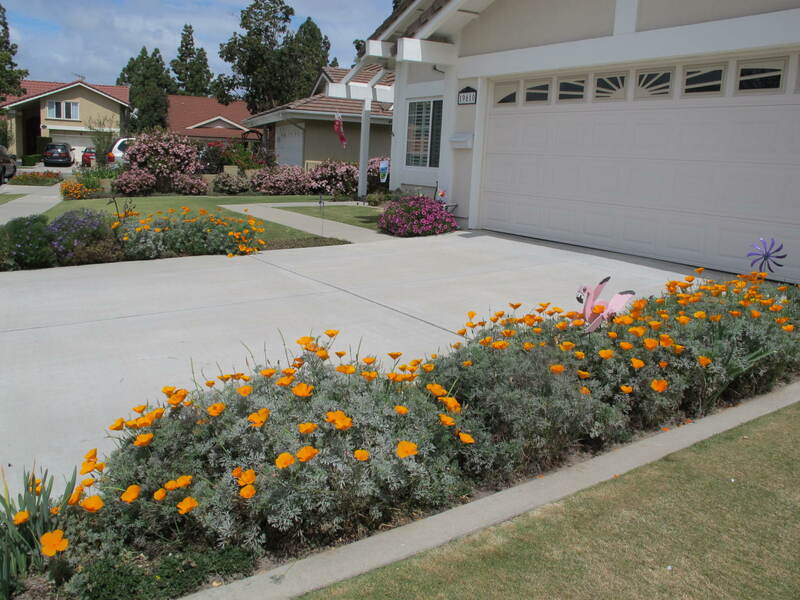 My daffodils and freesias have come and gone but my California poppies are going crazy along with some other posies. These poppies are on both sides of my driveway with the little Donate Life garden flag in the background flapping in the slight breeze. Join Us at the Run Walk! 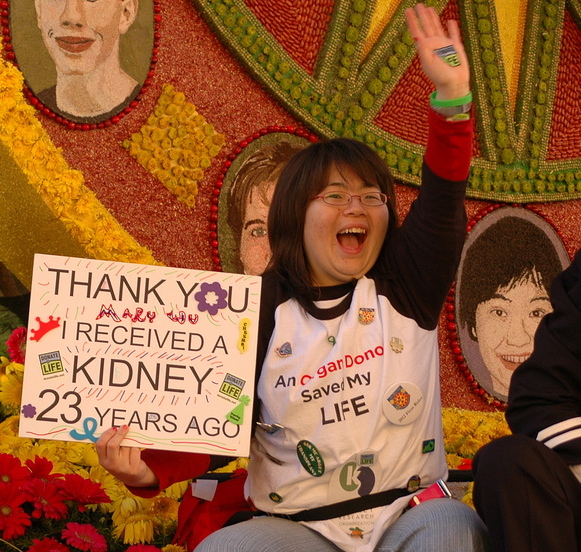 Speaking of Donate Life, tomorrow, April 1, beings Donate Life month and a celebration of inspiring and advancing donation and transplantation of organs and tissues through research, public education, and honoring donors whose legacies live on. I will be working hard this month on a volunteer basis for the Donate Life Run/Walk that will be held at Cal State Fullerton on April 27. At least 11,000 people will participate in this celebration of life. L’Chaim to all of these participants and volunteers! Prime Time 2013 or Antiquities Abounded, But They Weren’t Us! grandkids,Wesley and Jane. 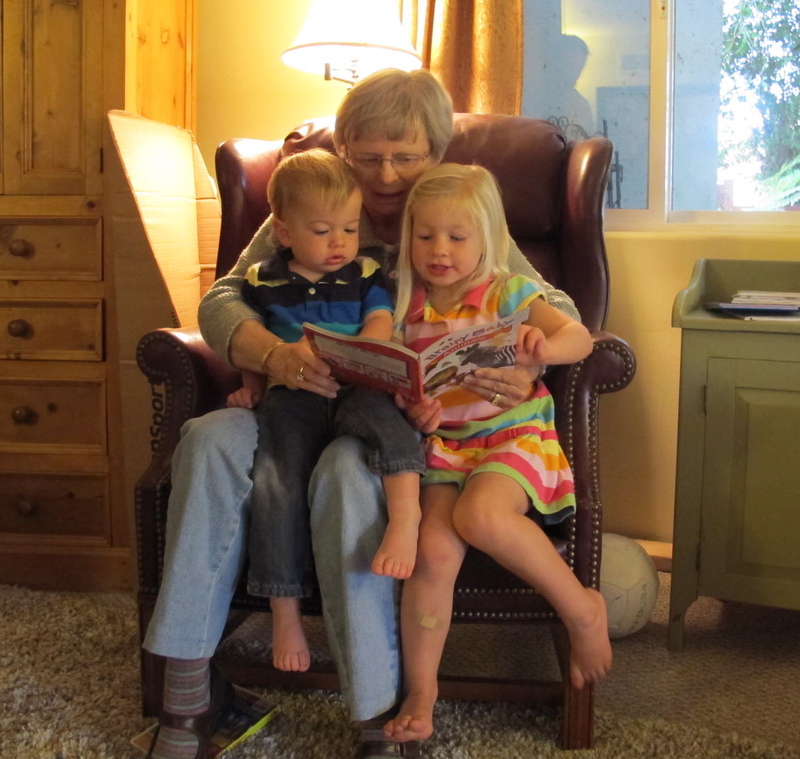 We had a delightful time with the grandchildren and visited some with Stacy and David. We were soon on our way and made good time to San Luis Obispo where we had lunch. As we drove along, we commented that we didn’t know there were so many varied colors of green. We’ve had enough rain to make the grass and other plants sprout with luscious colors. There was a lot of lupine, mustard, pretty little yellow flowers, ceanothus and many, many poppies (although we saw more of them closer to Pajaro). All in all it was a beautiful drive to Pajaro. 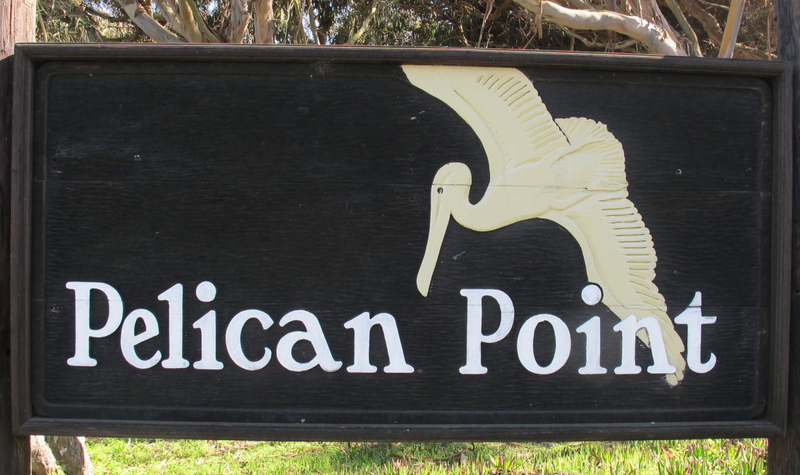 We knew we were in the right place when we saw the Pelican Point sign out on the point by Pelican 10, our final destination. 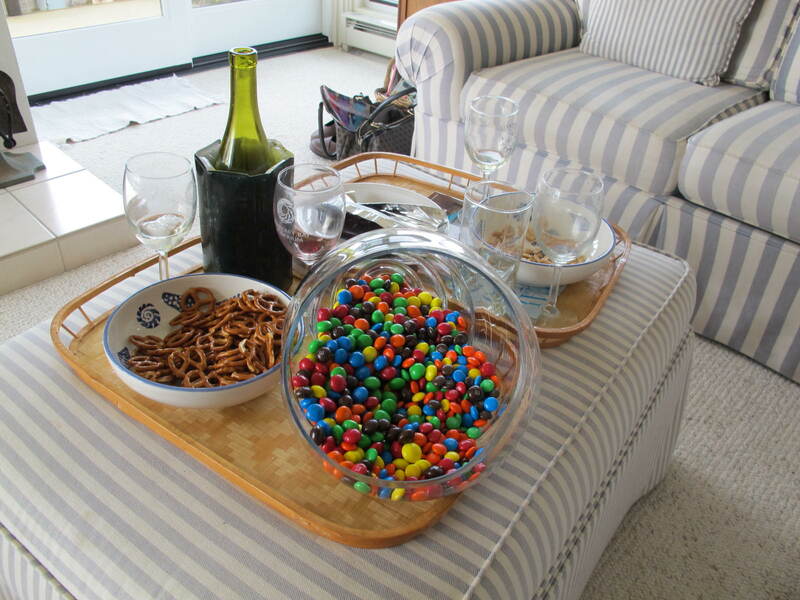 There were many hugs for who were there and soon we broke out the wine, M&Ms, pretzels, and Lynda’s luscious biscotti. YUM!!! It tasted so good and we managed to consume our fair share. 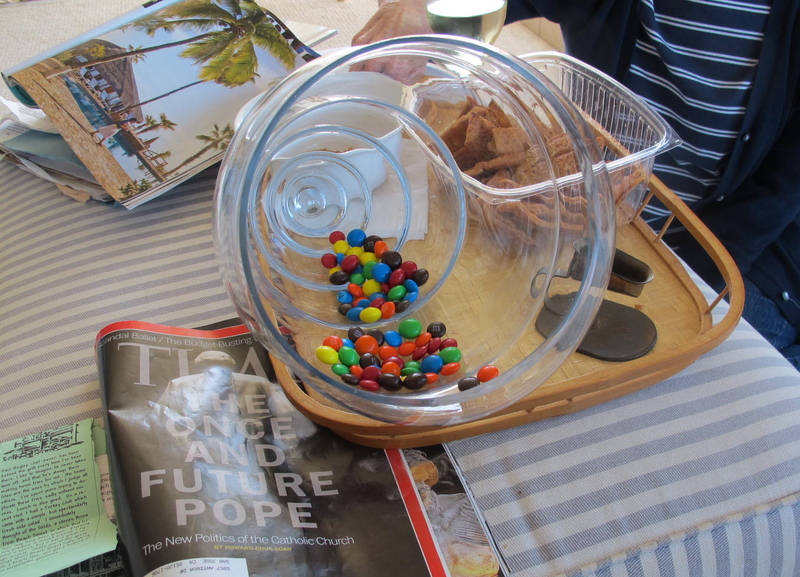 Check out the amount of M&Ms in the cornucopia. I don’t know how many packages Pat brought to Prime Time, but it had to be several as the cornucopia is fairly full. By Friday morning, it was quite empty! But there were seven of us! The first major topic of discussion was to rehash the OHS Reunion held in September, 2012…who was there, who was not, how people looked, how well we think we’ve aged (YEA! FABULOUSLY! 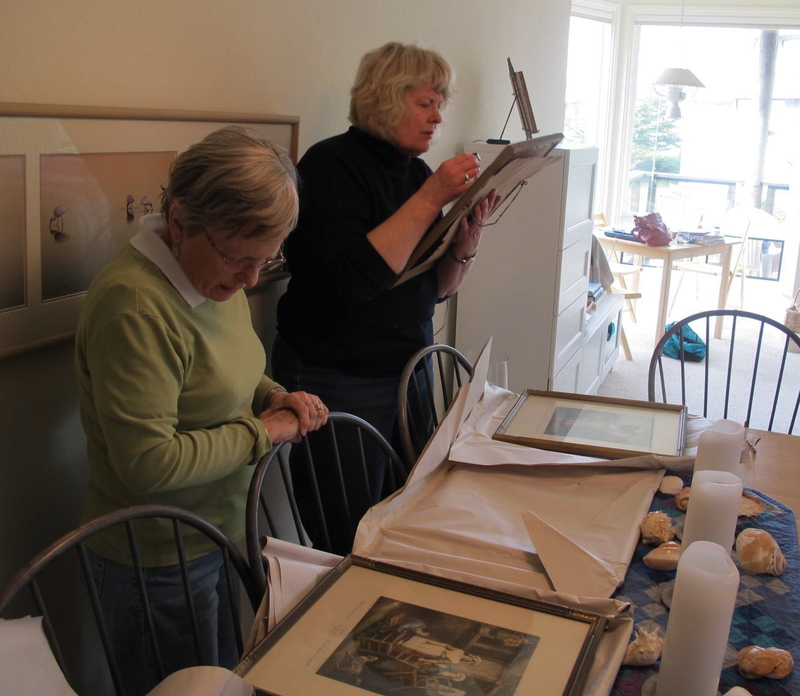 ), how well the reunion committee organized the event, checking out reunion pictures and then commenting on everyone. Such fun! Dot and I prepared a sort of chicken alfredo with brocoli, salad, sourdough bread, and vino with Gizdich Ranch pies and ice cream for dessert. The Bailey’s came a bit later. Ah, Dot is such a good cook! She is so creative and I sit back and enjoy the kudos that she should receive alone. She’s the brains and I’m the brawn for doing things like boning the chicken. not they were worth selling. I’m amazed at the extent of Diana’s knowledge, the result of interest, extensive self-education and reading. She’s amazing at how she can give an opinion and tell someone if they have something of value (or not). Then she knows where to go on the internet to support her judgments. I was pretty impressed when we went to a couple of antique shops and her opinions of good values. She was looking for some good props for weddings on the Jacobs Family Berry Farm http://www.jacobsberries.com (Check out their web site to see pictures and learn what all is going on at the farm) While I could sort of see what Diana was talking about(especially since I’ve been on the farm), it was very difficult for me to imagine how these props would be incorporated. Diana has the insight to do these things and get then to fit. Diana ended up not buying them, but I could certainly see why I’m not a decorator of any kind and Diana deals with aesthetic things. Why do many of them stand on one foot? jackets! Some of our crew walked past the north end of Pajaro which constituted a very LONG walk. I’m guessing that they walked about 4 miles. There were many shells to check out, but not much sea glass. We all enjoyed looking at the many shore birds that were trying to find their dinners. One of questions of the day was why many of those birds choose to stand on one leg when they definitely had two able legs. One possible answer was that perhaps it’s a way to keep one leg relatively warm while the other is freezing in the cold water. 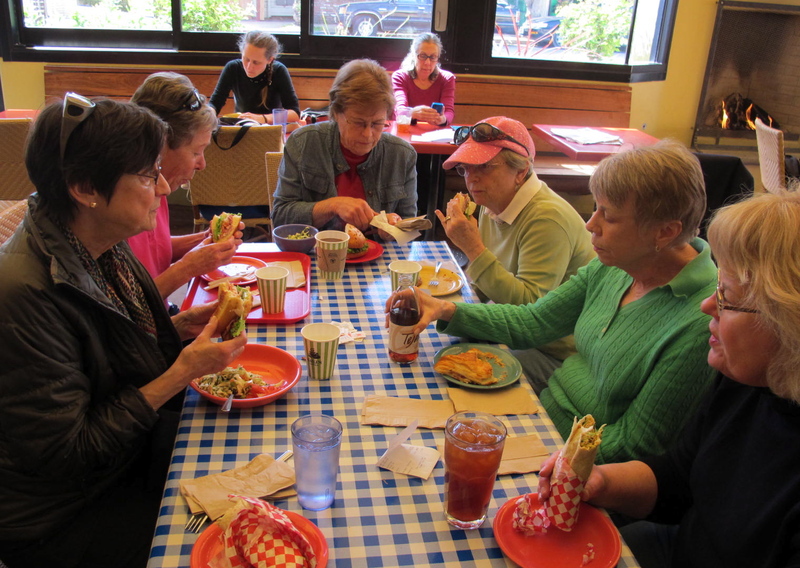 We all visited an antique shop in Soquel and then drove to Gayle’s Bakery and Rosticceria to eat some sandwiches and pastries. Gayle’s is in Capitola, right next door to Soquel and has delectible food! It took me a long time to make up my mind as to what sandwich to eat but not the pastry. I guess my sweet tooth has more of a determined mind. 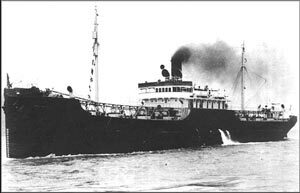 Francisco Shipbuilding Company in Oakland, California and launched May 29, 1919. She was 420’ long and 54’ wide at her beam. The Palo Alto remained docked in San Francisco Bay for over ten years until she was purchased by the Seacliff Amusement Company of Nevada and towed to Seacliff State Beach in Aptos, California. The ship was grounded in the bay and connected to the shore by a long pier. An arcade, dining room, dance hall and even a swimming pool were built on the ship. Unfortunately, the Seacliff Amusement Company went out of business two years later under the financial crunch of the Great Depression. Then, in winter, a storm cracked the ship across her midsection. The Palo Alto was stripped of all salvageable metal and fixtures and turned into a fishing pier. 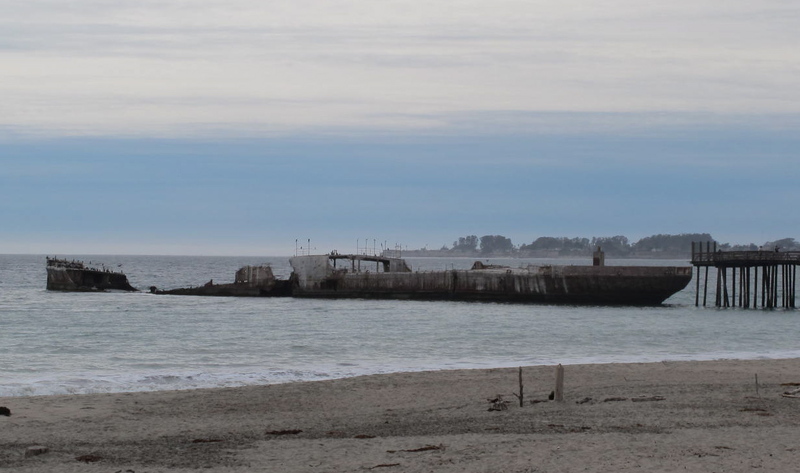 The S. S. Palo Alto can be found at Seacliff Beach in Aptos, California. Until recently she was used as a fishing pier but has now been closed due to deterioration. The Palo Alto now. Ugh! The bottom picture is what the Palo Alto looks like today…rather decrepit and rather an ugly nuisance that no one is able to use today except for birds. A sad commentary on a once proud ship (however odd it sounds to be able to sail a concrete 420’ long ship). 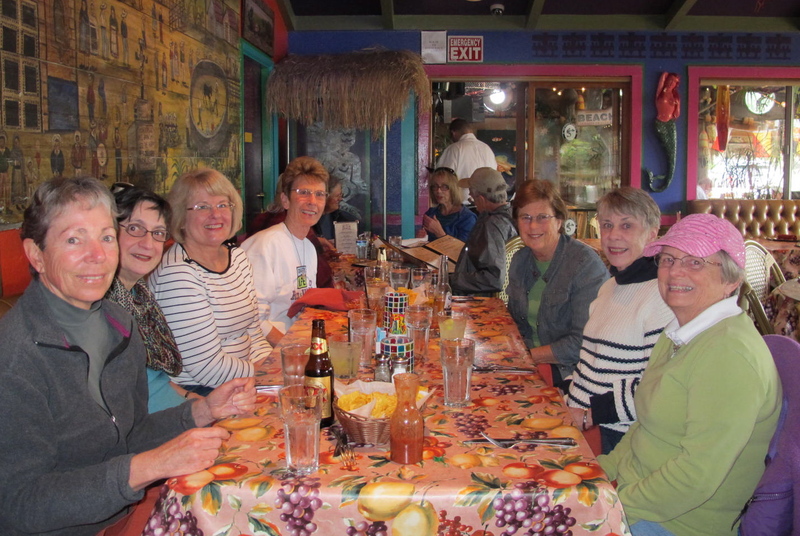 To keep with tradition, we all dined at The Whole Enchilada at Moss Landing on Wednesday. They have such delicious Mexican food and are always so accomodating of a large party. This picture was taken before the food arrived. You may notice that some of us were trying to kill any bugs that we may have had with some alcohol. 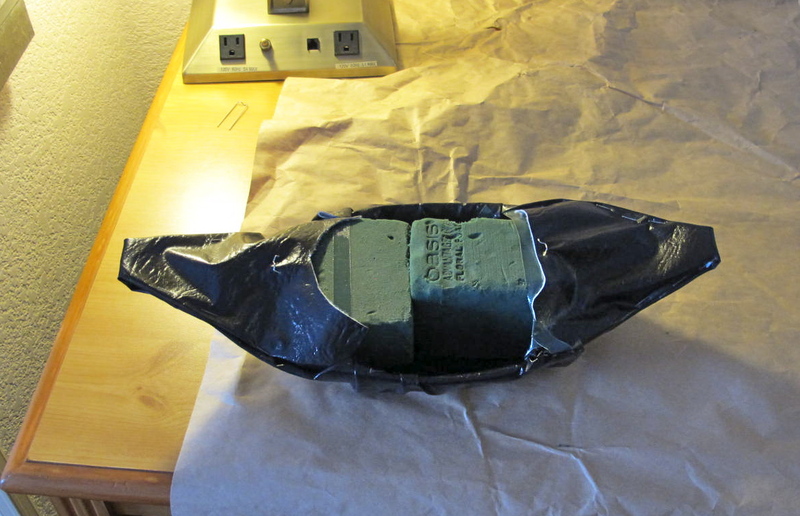 It was about Wednesday that several of us began to come down with what we called the Pajaro Crud. It eventually struck six out of the seven leaving us with very sore throats, headaches, achy muscles, sneezing, coughing, and runny noses. Some had low grade fevers that didn’t add to one’s well being. Dot didn’t feel well at all while we were driving back to Cerritos and I felt badly for her that she had to drive home to Murrieta the following morning. But she made it safely and that was good. I am assuming that everyone made it home without incident and that everyone is recuperating from the Crud. I probably will have to take the day off from the Donate Life office tomorrow, but will be good enough to volunteer on Tuesday. 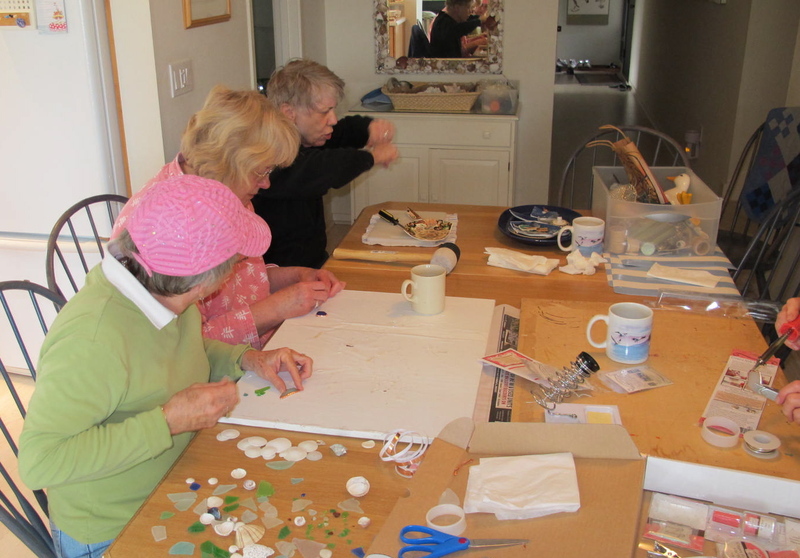 Trish had a craft project that involved using shells and/or sea glass, solder and little necklace loops. 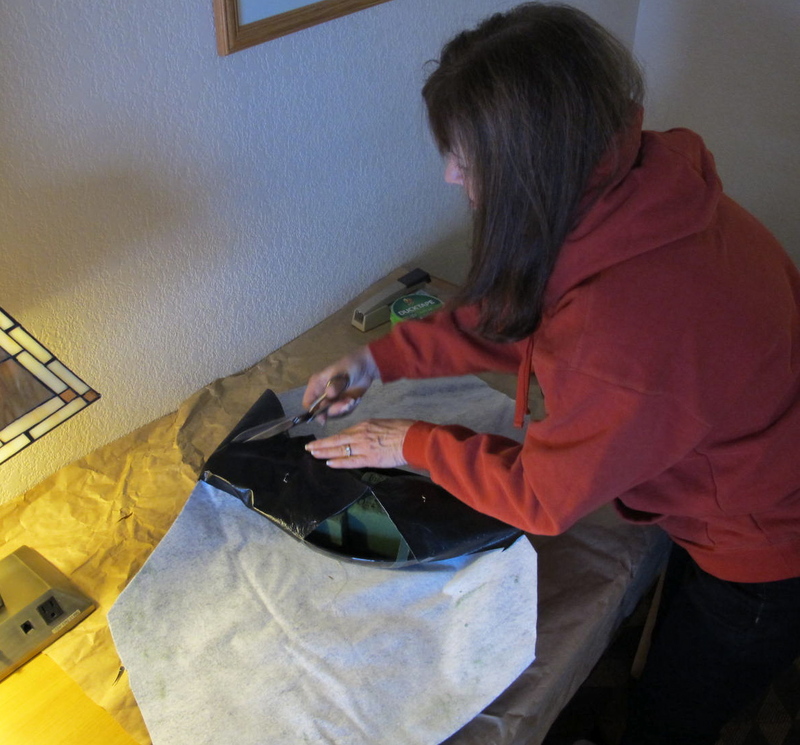 We got to pick out various shapes of glass or shells, wind copper tape around the edges and then solder the tape onto the object. We had great ideas but none of us could get the solder to look nice or get the little necklace loop to sit right when we tried to solder it together. I sort of gave up after I accidentally soldered a knuckle. Kinda smarted. I still have my little object de arte with me and will try to sand the solder to make it look smooth. Hope it works. 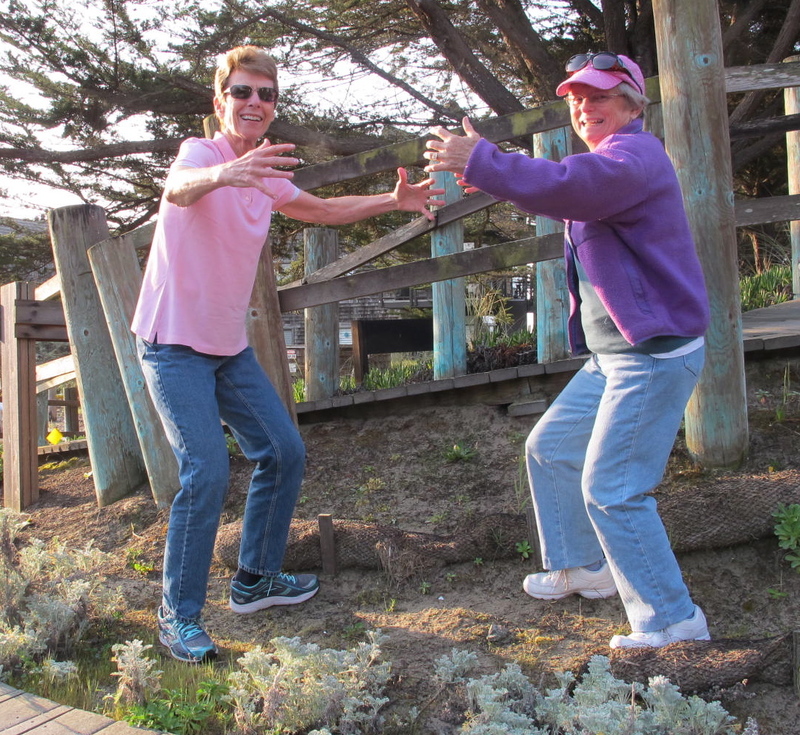 for “Go” orders on the back side of it) and then took a ride out to Sunset Beach, a state beach north of Pajaro. It’s a campground as well as a day use beach. We drove quite a way through the campground that was on a bluff above the ocean and then finally dropped down to the beach which was less than a mile north of Pajaro. 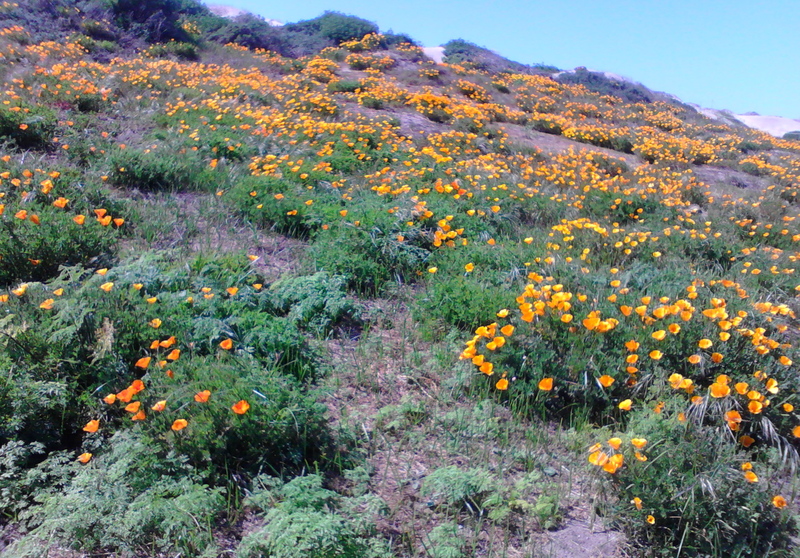 It was so pretty with many, many poppies in bloom. 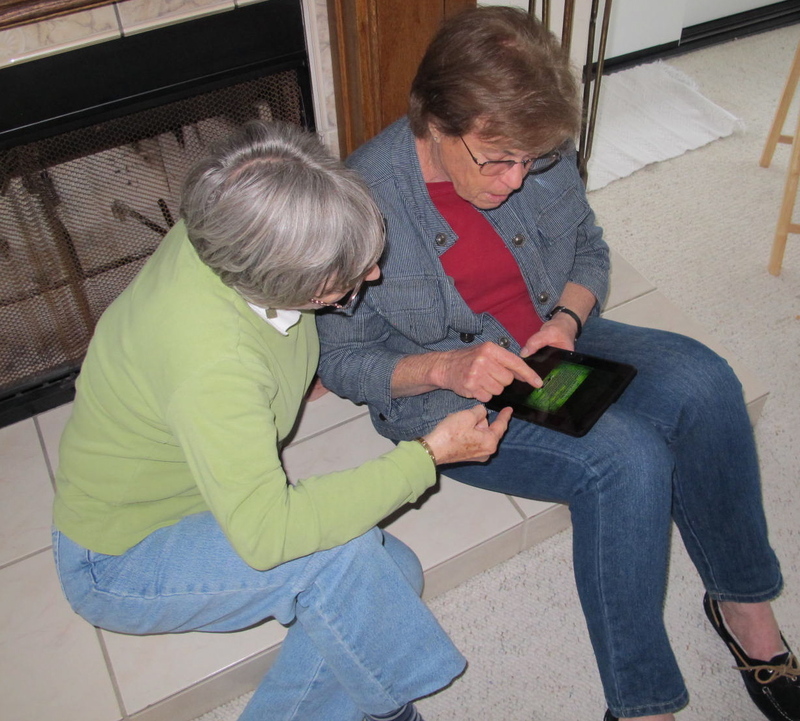 Is Dot teaching Lynda about Scorpion Solitaire? 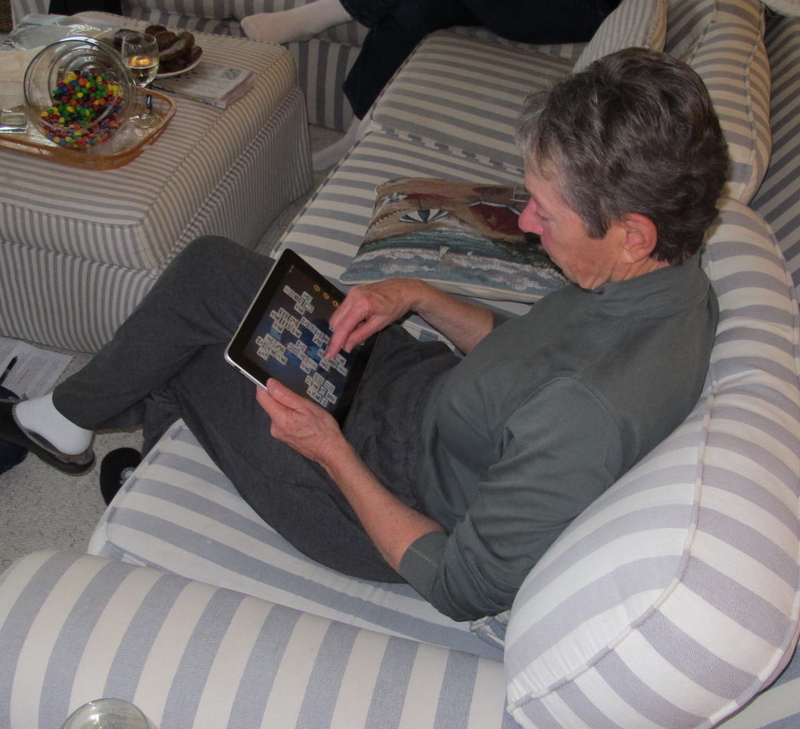 One thing that was a topic of discussion several times was the use/ownership of an iPad, Nook, or Kindle. Sherry was interested in getting one or the other but didn’t know the advantages/disadvantages or possibilities that each has. Pat has an iPad, I have a Nook and Lynda has a Kindle and each brought their little possession. I don’t know if Sherry arrived at any conclusion but we had fun talking about them. 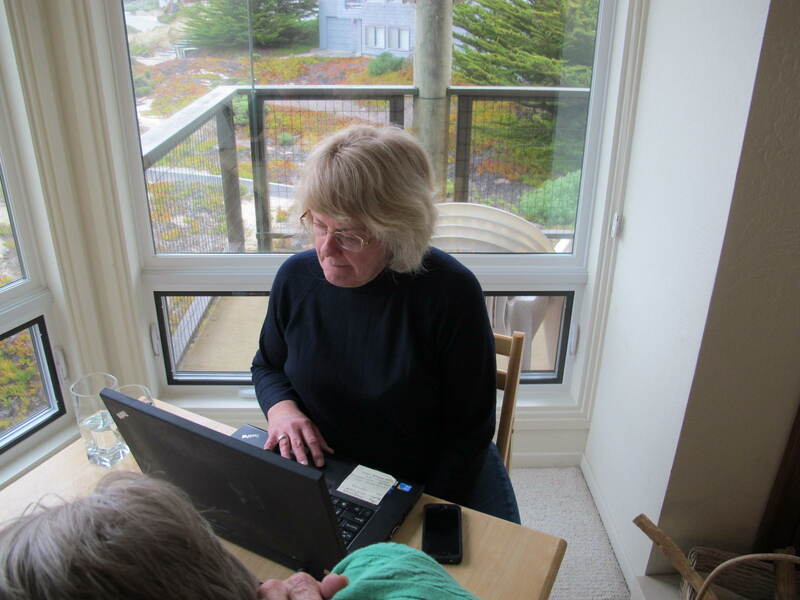 Since the Nook is similar to the Kindle, Lynda was able to explain some features that I didn’t know were on the Nook. Of course, it would have helped to read the manual. But why should I do that when someone will eventually explain them to me or I might stumble upon them by myself? Life is an adventure! I think Sherry’s conclusion was to choose what functions she might use the tool for. That way, she would fit her needs and not what someone told her what is best. We missed all of you who were not able to attend this 2013 chapter of Prime Time. We didn’t seem to laugh as much (Michel, take note. You are one of our best humorists!). We missed everyone’s input on all the things we talked about, plus more. Books, trends, etc. We spent some time reading (but not discussing what we were reading) and/or doing some research on the computer. This, in part, could have been that we all were not in the best of health and were somewhat subdued. As you know, we spent four nights at Pajaro where we usually spend three nights. Again, perhaps we weren’t feeling up to par, but some of us feel that going back to three nights might be best. Also, for those of you not with us, should we go back to including a weekend for our Prime Time? That might help those of you still working to get there without missing too much work. Please give us some input as to your feelings about this little item. Inquiring minds want to know! Here are some additional photos of us and the environs. Someone found a snake in the grass and I wanted to be sure to share it with you. Diana was not feeling well when she left us Thursday morning and we all wanted to wish her a good, safe trip home. But, she did not want to infect us even more than we were, so she invented the Crud Hug (I can’t think of a better name at this time. Perhaps someone else can name it more aptly). You face the recipient of your hug, extend your arms and wiggle your knees. Dot and I are demonstrating this technique below. 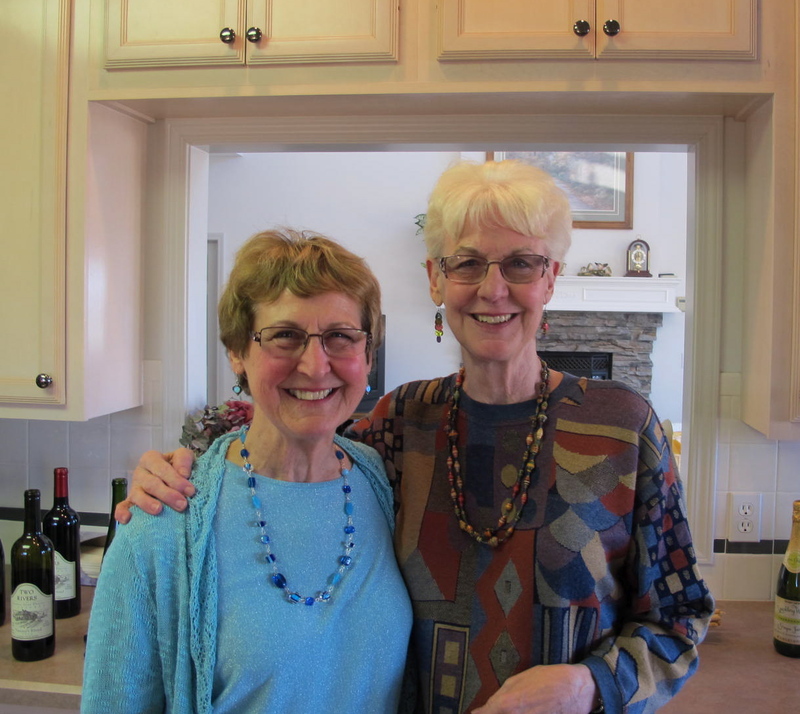 Our old friend, Shirley Porter, was being given a 70th birthday party by her sister, Barbara, to which we invited ourselves. 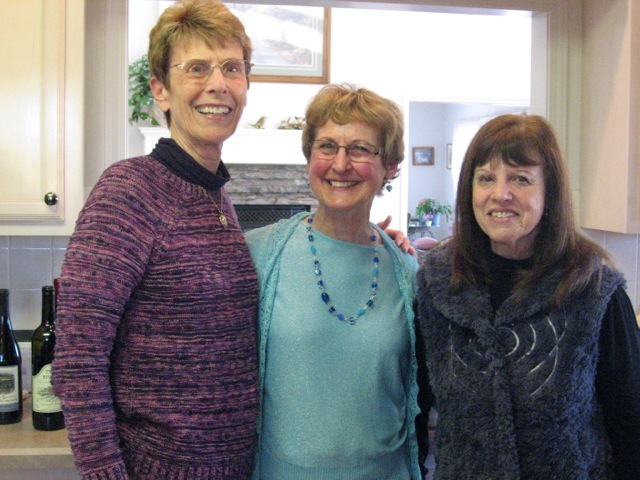 The party was to be held on Sunday, March 10, 2013, in Grand Junction, CO.How hard could that be? The two Cs began plotting. Flowers seemed appropriate as a gift. Pictures are always a good idea. Then we found out that a Shirley Roast was being planned. Well! How much better could it get? This is right up our alley! Shirley is a good friend, but the two Cs have very active lives (just as Shirley does). Big C had a Donate Life meeting the morning of the ninth and, thus, scheduled a flight to Denver with a 5 PM arrival. 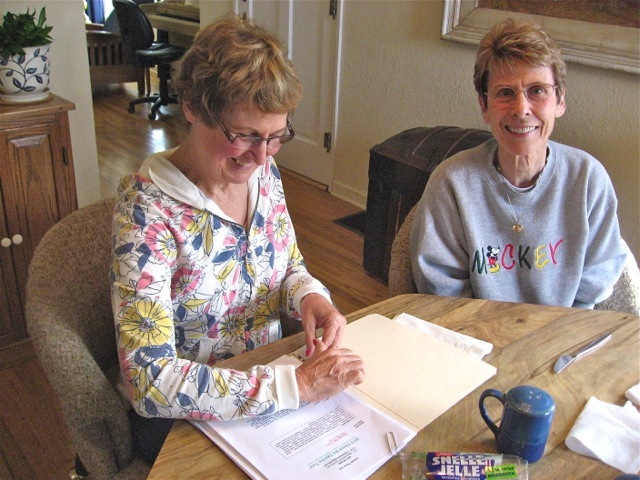 The plan was that Connie would drive from Colorado Springs to pick up Cora and the two would stay in Lakewood and then drive to Grand Junction on Sunday. Perfect…no sweat! We both had to be home on March 12. Enter Mother Nature and Springtime in the Rockies. Connie was paying attention to predictions of a large storm moving into the Colorado area over Shirley’s weekend. Being a California chicken and not fond of driving mountain roads in the snow, she moved into a prevent-defensive mode. 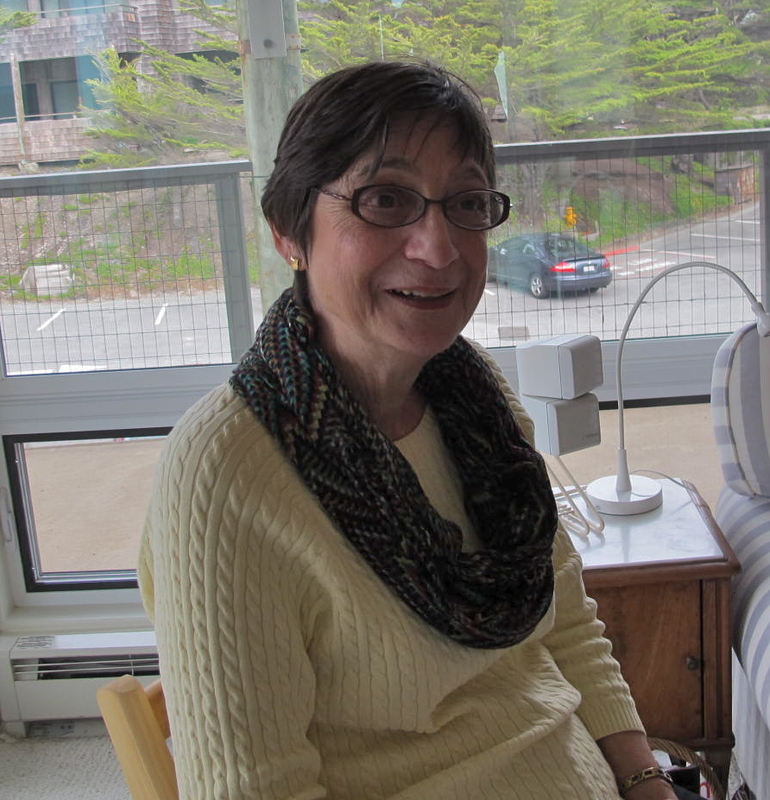 She called Cora to discuss the pending storm and her plan to get over Monument Hill before the snow hit early Saturday, causing icy roads and blowing winds. “What about coming out a day earlier? Your plane might not even be able to land on Saturday,” Connie said. “Tomorrow? You mean tomorrow? I don’t know if I can get everything done to do that,” Cora replied. Cora investigated making a change and Southwest Airlines was very accommodating. No additional charge. So travel preparations moved into high gear, neighbors were notified and the cat was taken care of. The flight was successful with the two Cs meeting up at planned. 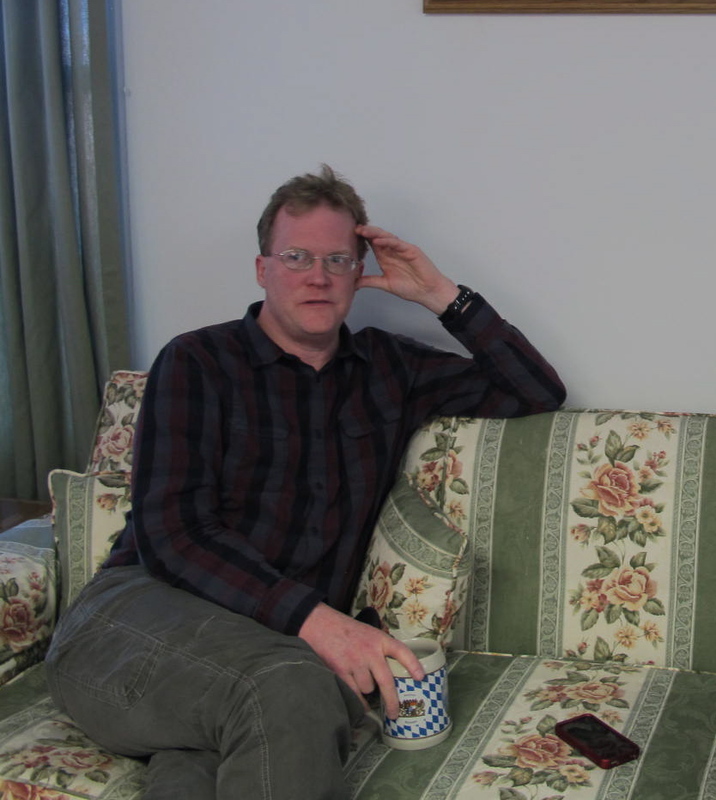 There was enough time even to have dinner with Cora’s uncle and his wife who live in Aurora. It was great timing as Uncle Bev had plans to leave on his father/son trip the following Sunday. The big storm was still to hit the Denver area and people were making preparations to be sort of shut in for Saturday. and teaching. 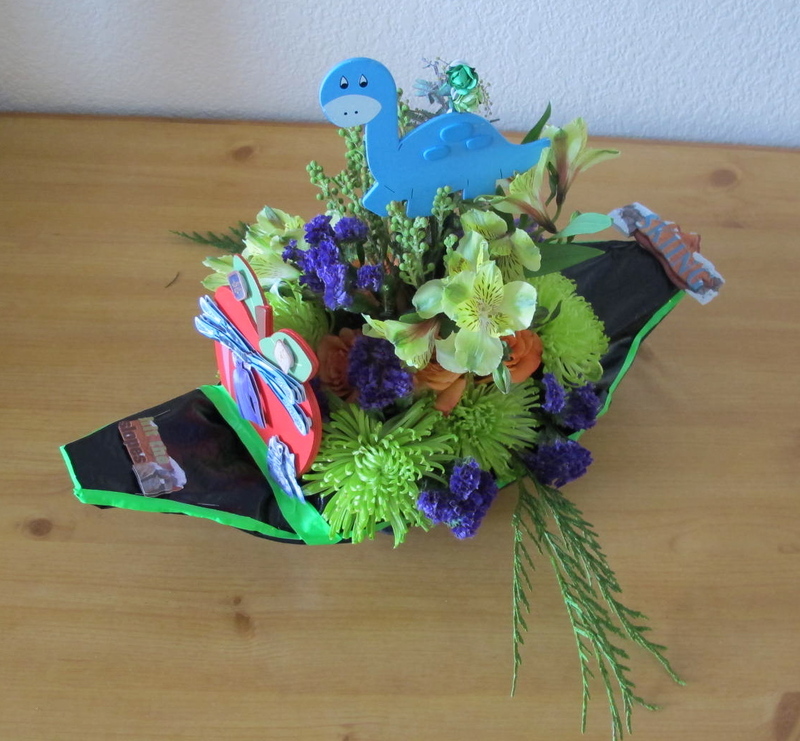 Of course, there was a little dinosaur to pay homage to the fact that Shirley was now 70. It was a work of art! Once that was done, we moved from our hotel in Aurora to our originally scheduled hotel in Lakewood, a town near the foot of the Rockies and where we would take I-70 to get to Grand Junction. That trek was done slowly but surely since it was still snowing and was very dangerous to be out on the roads with their icy, slushy conditions. We found a delightful pie/sandwich place where we had lunch, took out food for dinner and then hunkered down for the night. the ride. Connie, in the meantime, was driving very carefully and did a great job maneuvering us through some treacherous, dicey roads. 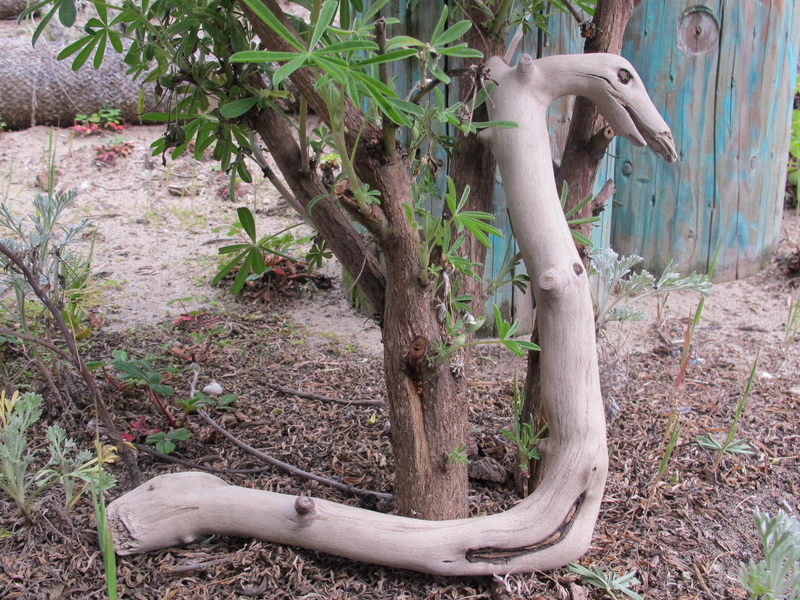 on tree and bush limbs. They reminded me of cotton bolls. 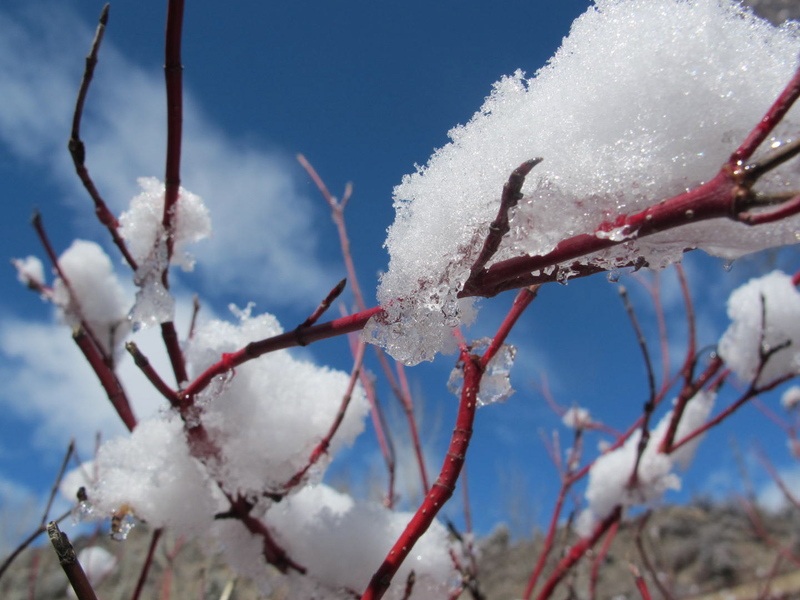 The snow puffs on the red bud were particularly pretty in our estimation. We took some fun pictures and eventually pressed on to our destination. Shirley was awaiting our arrival! 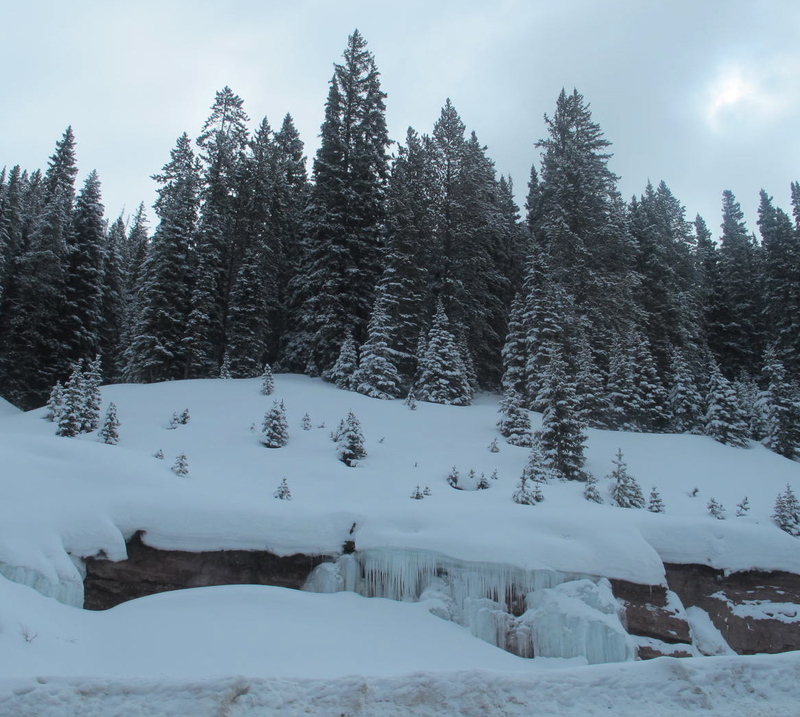 The drive over the Continental Divide is so interesting with the many changes in altitude, climate and terrain. On this day, we went from very snowy conditions to relatively dry and from low to high to low again, all in the span of 5 hours. We always think about the pioneers who had to traverse these wild lands in their covered wagons and are always glad that we aren’t suffering their same hardships. Grand Junction greeted us with perfect weather and we found Shirley’s house with no trouble. Shirley greeted us with hugs and before long, we three amigas were sitting at the table chatting as if no time had passed since we’d seen each other. IT WAS JUST GREAT!!!! 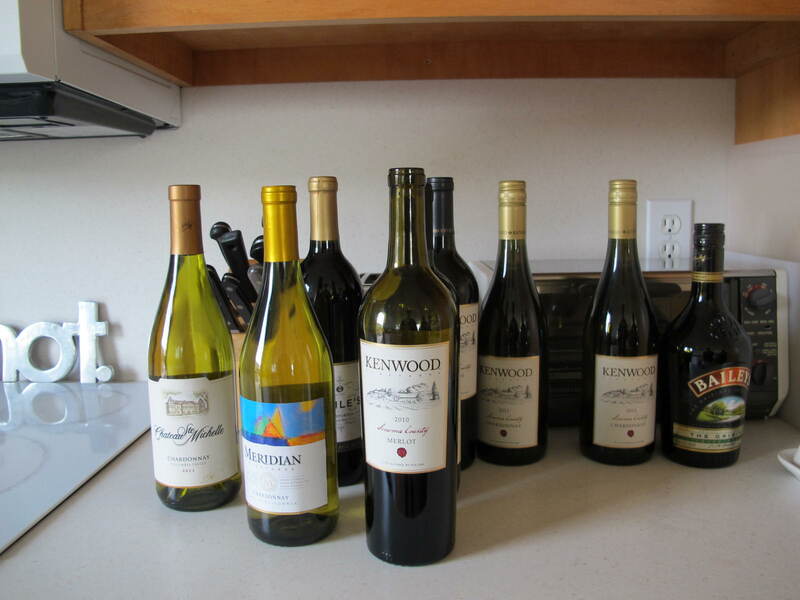 most important that we sample and approve the goods since people had gone out of their way to make a special wine run of the local fare just for us! We are so difficult to please! 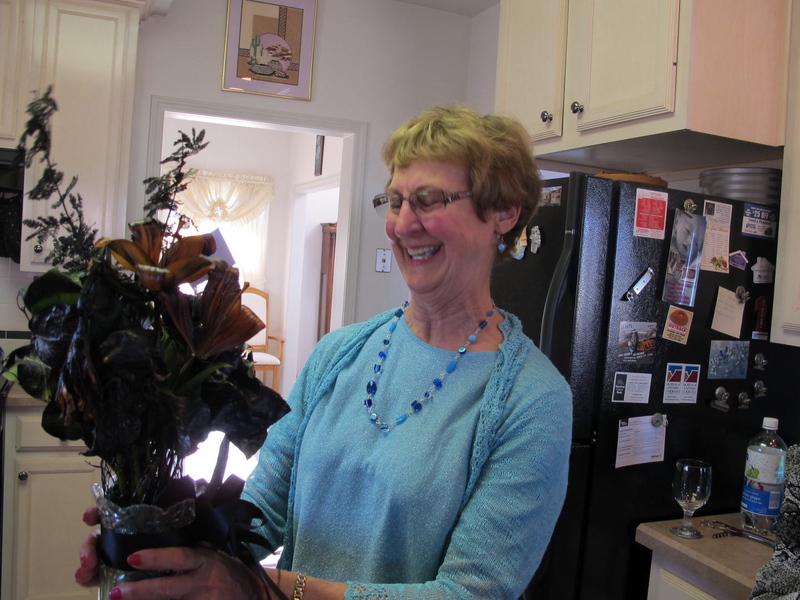 We were introduced to many of Shirley’s friends as we toured the enormous house. 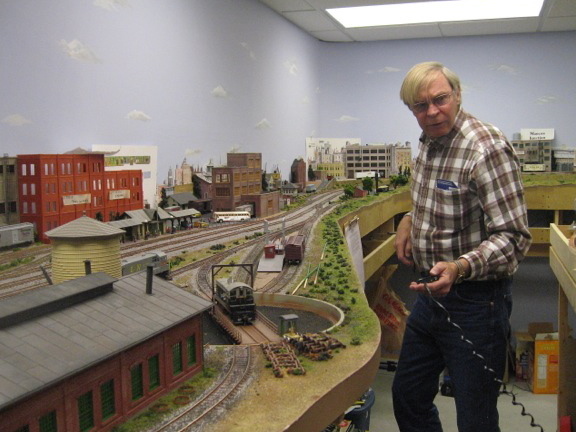 In the basement, Wayne had a large miniature train collection set up, covering a 20 X 15 foot area. He eagerly showed it off running several trains in opposite directions and throwing switches to avoid disasters, much to our delight. 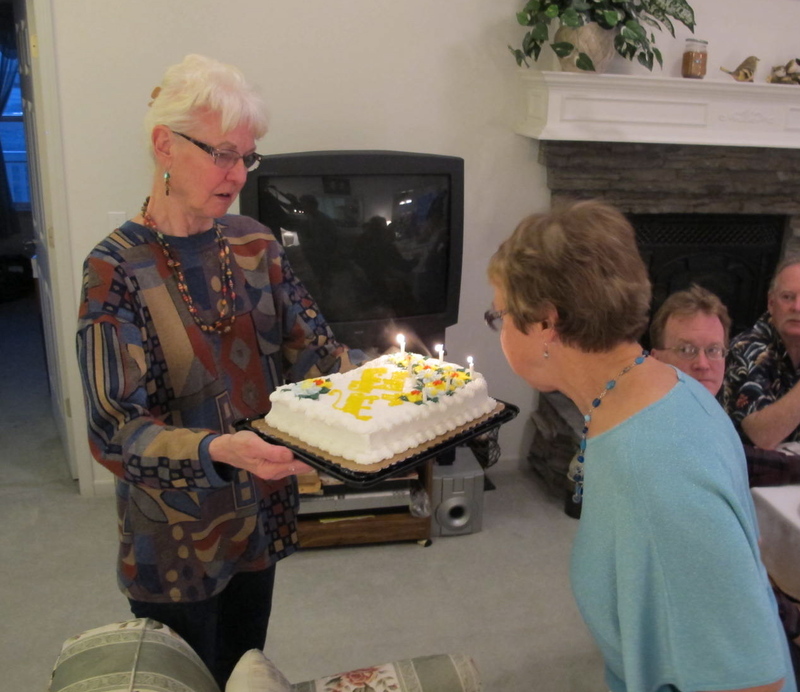 We had a great time getting acquainted with Shirley’s friends and relatives. They were all such fun and, obviously, loved Shirley very much. Cora thought she’d get the long distance prize but, Shirley’s nephew, Steven, won the prize coming from Alaska. He’s a really nice guy and fun to talk to. A sit down dinner for 17, a catered affair, was quite delicious. 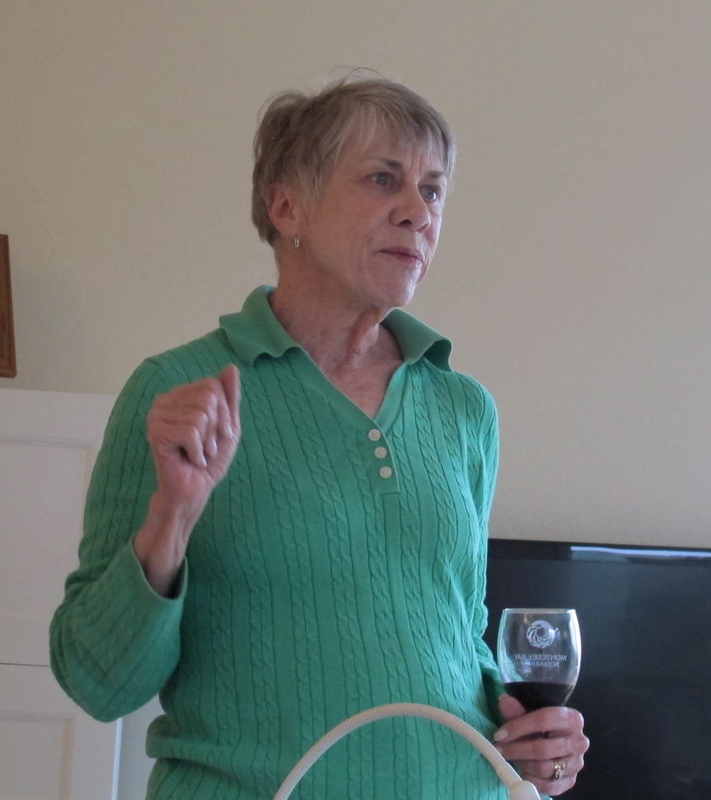 As we gathered around the table, Cora was the center of attention and she held her audience in rapt attention, regaling the group with stories and information about Donate Life. A great chance for her work as an ambassador. 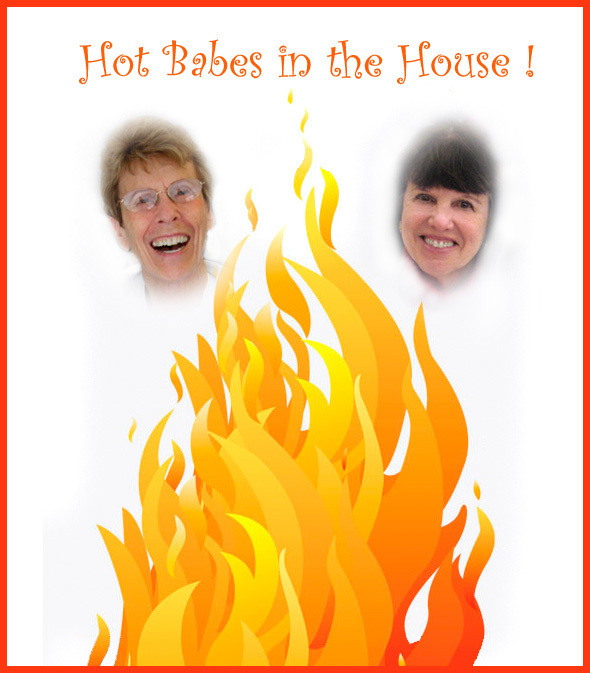 touching remembrances of Shirley with Barbara starting the fun. It’s so nice that people can share these stories BEFORE they are held at someone’s memorial service! 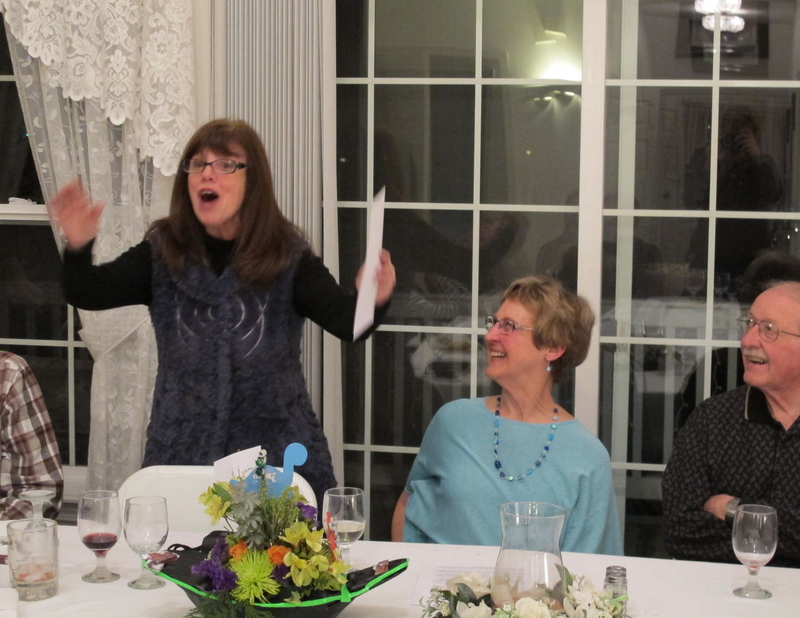 We were pleased with our part in the roast offering insights into Shirley’s past in California through humor, photographs, flowers and song. She took it all in stride and seemed pleased with our Kayak arrangement and even the bouquet of dead flowers, sprayed black in her honor. Here, Shirley is trying on some new glasses that fit over her regular glasses. Connie is amazed to find out that the blue tab is a unique type of snow screen. 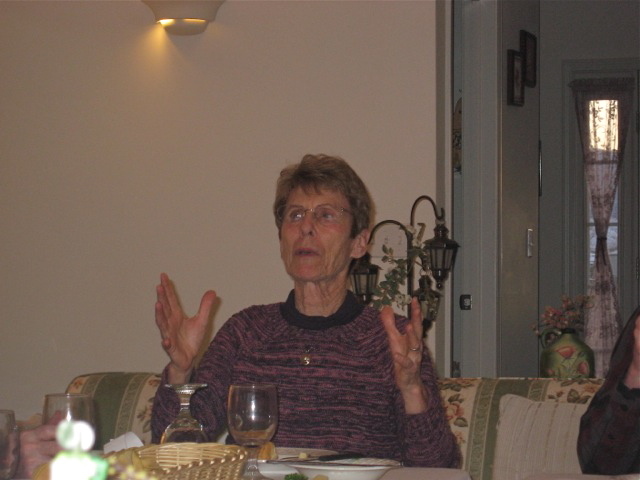 Cora also got into the act with some surfing, hiking and teaching stories. She also shared some Shirley pictures from years past. 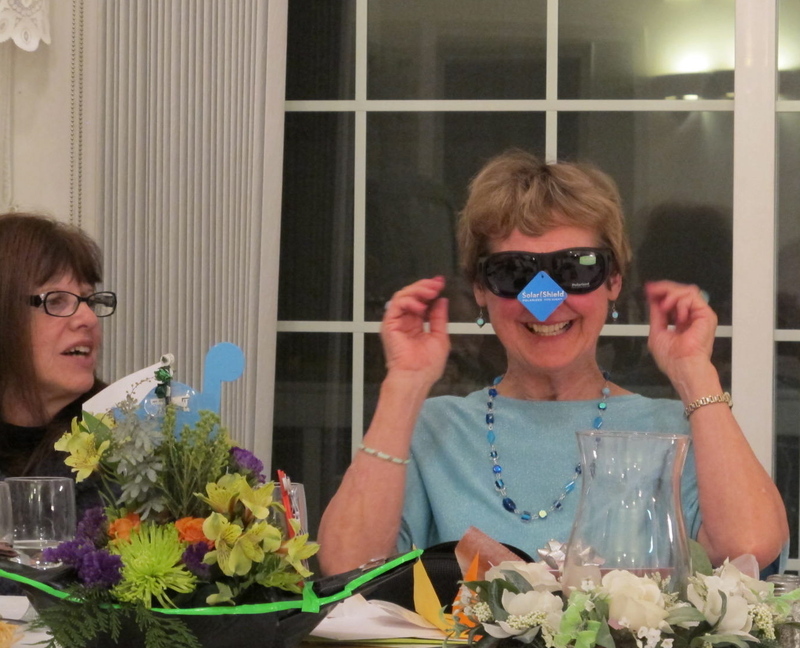 As was stated above, Shirley surely was a good sport about all this. It was a delightful experience to help Shirley usher in another decade and celebrate her person, for Shirley is truly one of a kind, a loyal friend but one who tells it as it is. We are truly blessed to have Shirley in our lives and to help make us what we are today. The three of us spent the next morning together gabbing and also discussing Shirley’s pending trip to the Czech Republic in May. She’s going on a small group tour that will be a circle tour of the country, seeing many sights that large tours might not get to see. She’s also hoping to learn more about her Bohemian roots in that part of the world. What an exciting trip! Have fun, Shirley! 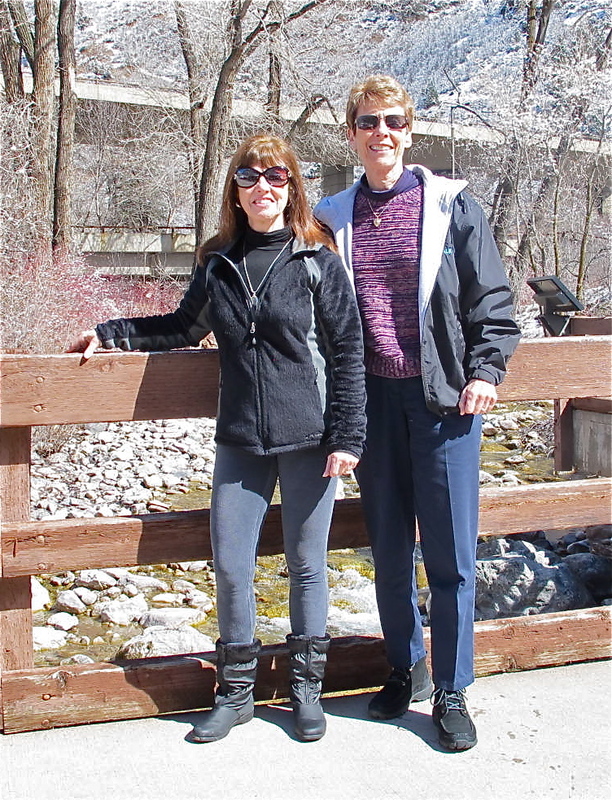 All too soon, Connie and Cora had to head back over the Continental Divide to the Denver area. The weather was improving and we had heard the weather would be good all the way. Again, it’s springtime in the Rockies. We ran into snow near Vale and it continued all the way to Lakewood where we were staying for the night. someone reported it as such and four fire engines and a couple of EMT trucks arrived on the scene. Eventually, we were allowed back into the building but were hyped up that we couldn’t go back to sleep for a while. Never a dull moment, it seems. 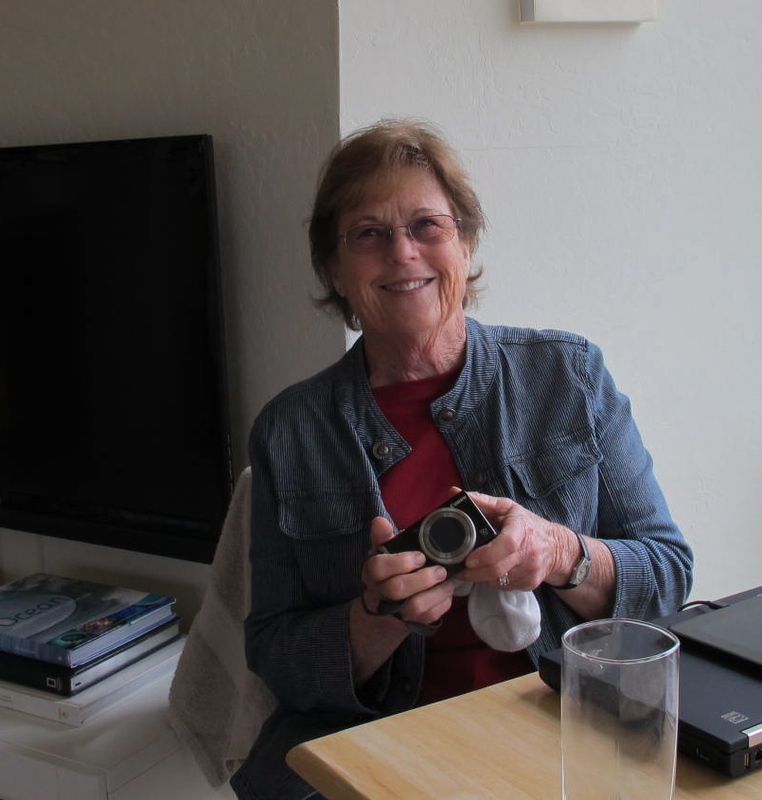 That afternoon, Cora was winging her way back to LAX and Connie was driving back to Colorado Springs to prepare for her hula lesson, which she missed because she forgot about the time change and that her clocks hadn’t been reset. Oops. Thank you all for a fantastic weekend that will be in our collective memories forever.